There are big rocks and then there are BIG rocks. This one is definitely the latter. It's called Giant Rock, and there is no false advertising here. 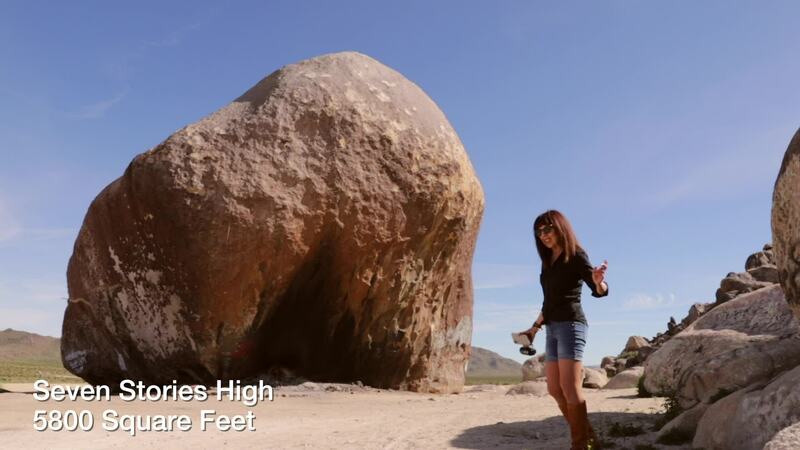 Situated in California's Mojave Desert, it was believed to be the largest freestanding boulder in the world. The past tense is due to the fact that a large chunk of it broke off in 2000, enough to dethrone its position as the World's Biggest Rock. Contributor and drone pilot tglass0000 brings us this beautiful aerial view of Giant Rock, which stands seven stories tall. Description: Giant Rock is the largest freestanding boulder on Earth. I took my wife and my drone there, looking for inspiration.